Is nestled just on the outskirts of Goosnargh Village looking out over Beacon Fell. 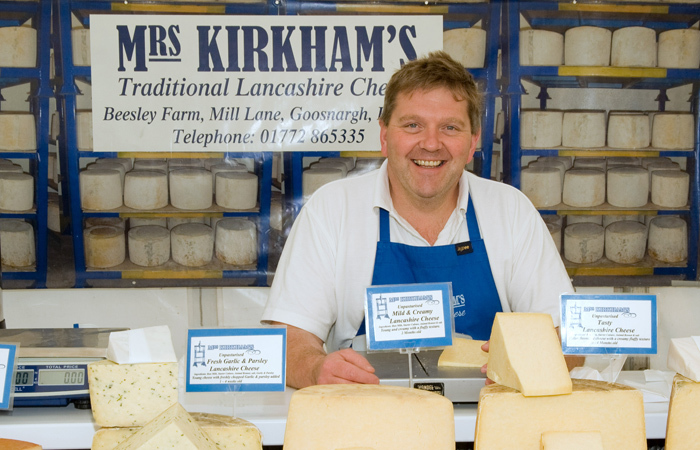 The Kirkham family has resided at Beesley Farm for just over 70 years. Graham’s father John moved here with his family as a baby. 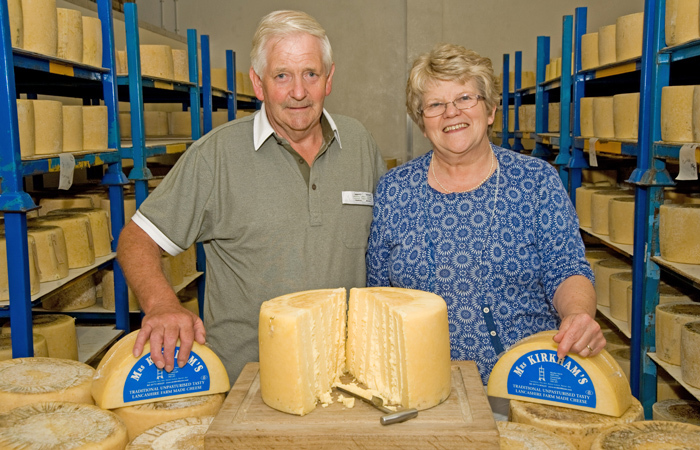 The first Cheese was made here by Ruth (Mrs Kirkham) in September 1978 and is still being made right here on the farm today. 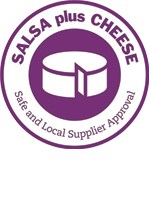 The Business is now run by Ruth and John’s son Graham with the help of his partner Kellie, son’s Shaun and Mike and a handful of great staff. 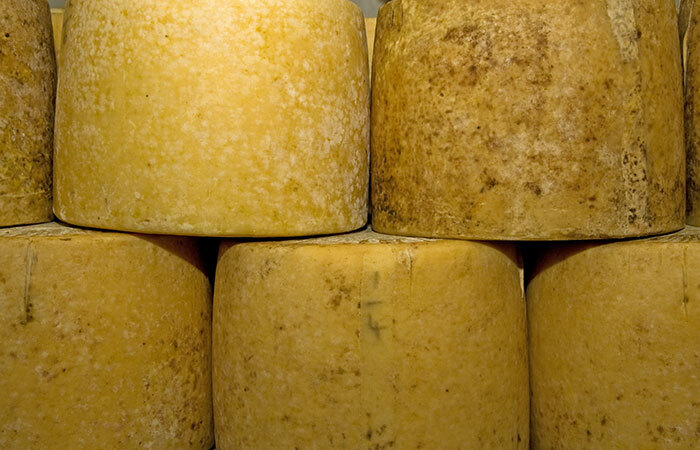 Our award winning raw cow’s milk cheese is still made by hand to the same recipe used by Graham’s Mother and Grandmother, and is made 7 days a week using only the milk from our own herd of Holstein Friesian cows.